The knee is the largest joint of the body. It is essential to our mobility and stability. During certain movements, such as climbing stairs, the knees support 4 to 5 times the weight of the body. As a result, they can easily be weakened and damaged by repetitive movements in certain trades or sports. The consequence is the occurrence of musculoskeletal disorders that cause pain and limit mobility. Knees are often abused by athletes and high-level athletes, who repeatedly solicit them and subject them to blows and contacts. A third of sports injuries has also relates knee 8. Trades that often require squatting or kneeling (more than half an hour a day), often getting up from these two positions, climbing stairs frequently or carrying heavy loads also increase the risk of suffer from knee pain . To understand the following, it may be useful to refer to our notions which illustrates and defines the various elements that make up an articulation. Musculoskeletal disorders of the knee include many problems. The compression of the nerve that goes down to the side of the calf (peroneal nerve). This leaflet describes the 3 most common musculoskeletal knee disorders: femoro-patellarsyndrome and ilio-tibial band friction syndrome, often found in athletes, as well as knee bursitis, caused by a kneeling position. Frequent and prolonged or direct trauma. These 3 types of conditions are linked to overuse of the knee and are gradually manifested. They are rarely an immediate result of accidental trauma or contact shock, which instead causes injuries to ligaments and menisci. It is estimated that a quarter of the athletes will suffer from this syndrome one day or another. The femoro-patellar syndrome is characterized by irritation of the cartilages of the knee joint, between the femur (the thigh bone) and the patella . Typically, symptoms occur when the joint is overused or stressed too much, such as when suddenly increasing the intensity of an exercise or when there is a misalignment between the patella and the femur. An injury to the knee after a fall on the ball or a road accident. This type of injury appears in the long term as a result of repeated practice of knee flexion and extension. The athletes most at risk are the runners (from 4% to 7% are affected) and cyclists. Irritation and inflammation occur as a result of the repeated friction of two knee structures, in the outer part: the long fibrous band on the outer side of the thigh (the iliotibial band) and a protuberance of the femur (the thigh bone). This condition is sometimes called “wiper syndrome”, because the feel of the strip that rubs the bone under the skin is often compared to that of the windshield wiper that squeaks on the windshield. Repetitive. The practice of activities that require repeated knee flexions and extensions, such as cross-country running, mountain hiking and cycling. Bursitis is the inflammation or thickening of a bursa, a kind of small pad filled with fluid that reduces friction between bones, tendons and muscles inside the knee. There are 11 bursaries in each knee, but bursitis most often occurs in front of the patella (prerotulian bursitis). The running can cause inflammation of the anserine exchange located on the inner side of the knee, just below the joint. 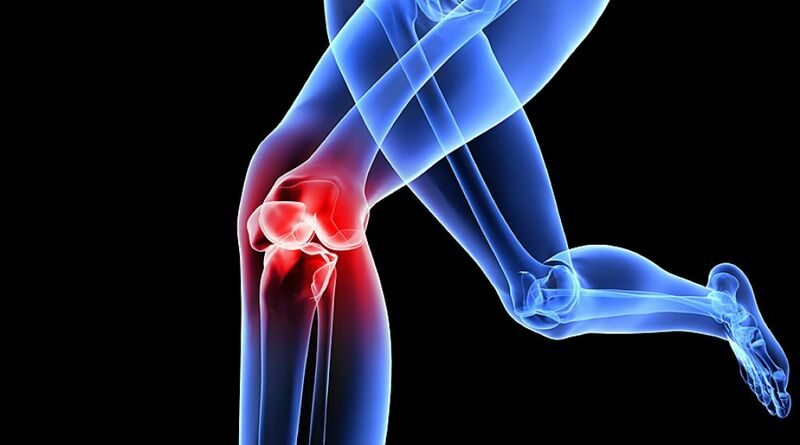 An untreated knee injury can degenerate into chronic pain. A non-painful leg compensation process often occurs, which can lead to other biomechanical problems. The musculoskeletal disorders of the knee are extremely common among both athletes than among all workers. Prevalence is difficult to estimate, but a synthesis of studies examining the role of work in knee disorders indicated that 19% of the workforce (all occupational sectors combined) complained of knee pain in the 12 previous months. Friction syndrome of the ilio-tibial band. Knee pain, felt in the outer (side) part of the knee. It is rarely associated with hip pain. Pain is exacerbated by physical activity (such as running, mountain walking or cycling). The pain is often greater when descending the ribs (walking or running). Usually, its intensity increases with distance and forces to stop the activity. Bursitis most often results in swelling at the front of the knee between the skin and patella. Bursitis rarely causes pain once the initial shock is over. Sometimes there is knee discomfort in cases of chronic bursitis when the pouch and skin have thickened. The sport, in which the knee is very busy. The most at risk sports for the knee are running, cycling, football (soccer), but also sports such as dance, volleyball or basketball that require a lot of jumping. People who work in a squatting, kneeling position or who carry heavy loads. This is the case, for example electricians, masons, plumbers, flooring layers, gardeners, etc.. A study, based on video recordings, has shown that 56% of the working time of flooring installers include knee joint stress (and 26% for carpenters). People, who have to go up and down the stairs often, like delivery men or mailmen. The main risk factors for musculoskeletal disorders are “biomechanical” factors, i.e. the excessive frequency of a gesture, a posture, a friction, a support or a constraint. Etc. A bad approach, an inappropriate race technique or the use of a bicycle that is not adapted to the size of the cyclist can also be major risk factors. Avoid overweight which can increase pain and make healing more difficult. Do not suddenly increase the intensity in practice of a professional activity or a sport demanding for the knees. By acting gradually, the body is allowed time to adjust and strengthen the muscles, while softening the tendons of the knees. Use the services of a professional trainer to ensure that the right techniques are being applied or that a proper approach and postures are being followed. Wear shoes that match the sport practiced. Wear knee pads if you have to stay on your knees for a long time, including DIY at home. In high-risk occupations, an occupational physician should inform employers and employees about unsafe work practices, and help to adapt the organization of work (breaks, learning gestures and postures, lightening loads, wearing knee pads, etc. . .). If necessary, correct a structural defect (excessive sagging of feet or other) by wearing flexible orthotics. For cyclists, adjust the height of the seat properly and use the foot pegs or bindings under the shoe. A seat too low is a common cause of this type of knee injury. It is also recommended to use easier gear ratios (small gearing) and to pedal more quickly, rather than forcing on a harder gear (big gear). After a workout, and several times a day, stretch the ilio-tibial band and glutei muscles. Ask a sports trainer or physiotherapist. Cyclists should use a bicycle adapted to their size and make the necessary adjustments to adopt an ergonomic position. The distance runners may reduce the risk of knee injury by focusing on flat surfaces rather than rolling. Runners who train on an oval track should regularly alternate the direction of their course to avoid always stress on the same leg in the curves. Those who run on the roads and always face the traffic also suffer an imbalance. They are constantly one foot lower than the other, as the roads generally have a downward slope towards the shoulder to facilitate the evacuation of the water. It is therefore good to vary the circuits. Proponents of mountain hiking should do some easy hikes before tackling higher mountains. Walking sticks are also useful for reducing stress on the knees. Note. It is important to consult a doctor in case of knee pain. The longer the treatment is delayed, the more difficult it will be. An accurate diagnosis makes it possible to start a rapid treatment and to avoid aggravation of the symptoms. Taking anti-inflammatory drugs alone does not slow the worsening of the injury and is insufficient for healing. Good medical follow-up is necessary. The duration of the acute phase of the injury varies. It is about 7 to 10 days. It begins with a phase of acute inflammation that extends from 48 to 72 hours, during which it is essential to relieve pain and inflammation as quickly as possible. Subsequently, the inflammation is still present, but less pronounced. The injury remains fragile and the tissues are more easily irritable than usual. Put the knee in relative rest by avoiding the movements that led to the injury. This is an essential component of treatment. However, prolonged inactivity can stiffen the joint, in addition to reducing the muscular strength essential to the stability of the knee. The knee should never be put to rest completely, let alone immobilized. Apply ice to the knee for 10 to 12 minutes, every 1-2 hours for the first 2 or 3 days. Subsequently, reduce the frequency to 3 or 4 times a day. There is no need to apply cold compresses or “magic bags” because they are not cold enough and heat up in minutes. Continue applying ice as long as symptoms persist. Ice cubes contained in a plastic bag can be applied directly to the skin or placed in a thin, wet towel. There are also cold gel sachets available in pharmacies that may be practical. However, when using these products, do not place them directly on the skin because there is a risk of frostbite. A bag of frozen green peas (or corn kernels), already in plastic packaging, is a practical and economical solution, since it molds well to body shapes and can be applied directly to the skin. Drugs. During this phase, the physician may occasionally suggest analgesic medications , such as acetaminophen (Tylenol, Atasol or others), or nonsteroidal anti-inflammatory drugs , such as ibuprofen (Advil, Motrin, or others) offered over-the-counter, as well as naproxen (Naprosyn, Aleve) or diclofenac (Voltaren), obtained by prescription. Do not take anti-inflammatory drugs more than 2 or 3 days. If the symptoms are serious, the doctor will recommend that you consult a physiotherapist. The treatment of most musculoskeletal disorders of the knee is based on physical exercise at home. The exercises are mainly aimed at stretching the ilio-tibial band (for the syndrome of the same name) and strengthening the quadriceps by insisting on the trajectory of the patella (for femoro-patellar syndrome). The rehabilitation program includes stretching, strengthening and proprioception exercises. Ask a physiotherapist, sports trainer or doctor. For these two syndromes, physiotherapy treatments are reserved for more severe cases that do not respond to the home exercise program. Physical therapy can reduce inflammation, prevent ankylosis or recover lost mobility. The physiotherapist will also ensure that the alignment of the lower limbs is adequate and will help to correct as needed. Afterwards, when the inflammation has decreased, the focus will be on muscle building, while continuing to work on the mobility of the joint. For an optimal result, the person must participate actively in his treatment by reproducing at home the exercises taught. The use of a bandage is of little use in the vast majority of knee disorders. In addition, for femoro-patellar syndrome, the bandage is strongly discouraged because it creates an additional pressure on the patella, which can only accentuate the symptoms. The normal activity (the movements that caused the injury) is gradually resumed, when the full range of motion has been recovered and the pain is stopped. Continuing home exercise after the normal resumption of activity can prevent relapse. If knee pain is due to occupational overuse, return to work should be done in consultation with the occupational physician. The adaptation of the workstation or the environment is often beneficial to prevent the recurrence of pain. Surgery is rarely needed and there is less and less use because of disappointing long-term results. Caution. Incomplete rehabilitation or rapid return to normal activities slows the healing process and increases the risk of recurrence. Respect of the treatment – relative rest, ice cream, analgesic drugs, home exercises – brings the full return to the previous capacities in the majority of people.